On today’s episode, Chris, Brian, and Michael talk about what discipleship in the family can look like. Discipleship doesn’t begin and end with our small group. It has to include our families. A lot of parents feel guilty because they don’t know where to start with discipleship in their family. What can they do right now? What if discipleship was never modeled for the parents? 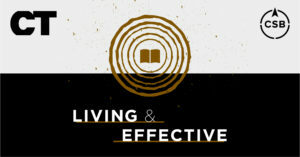 What practical tools are out there to help families develop a discipleship rhythm? It is easy to congratulate yourself for some practices you may have instituted, but at the end of the day, time will tell if it’s effective or not. Faith is being confident that the Lord is going to make up for what we lack in all circumstances. It frees you to actually engage and do some things, rather than always wishing that your family had more spiritual conversations. The most obvious and easiest place to start is to commit to having a single conversation after church once a week. When you make this choice, you start normalize spiritual conversations. Quantity time paves the way for quality time with your family. It is important as a parent that you make your kids go to church. We are pioneers in parenting. We’re the first generation of parents having to navigate the influence and impact of technology in our children’s lives from day one. Not only that, but also every day we must make the choice to connect with our children, so that we can set them up to be successful as technology changes for them. The moment you think you have a handle on the latest app, there’s an update with new features—or they’ve found a new app altogether. But we don’t need to feel overwhelmed. There are practical strategies we can use to connect with our children that will set them up for success in this ever-changing, digital world. There is a familiar proverb that informs us on this topic of parenting in a digital age. Teach a youth about the way he should go; even when he is old he will not depart from it. You don’t need expertise in social media and technology to step in and connect with your teens on the subject. Training a child up in the way he should go primarily means we point them in the direction of following the Lord. Just like every other area of life, we help them navigate technology practically so that they honor Christ. Rules alone are insufficient for dealing with technology in the home. We must build meaningful connections. For the most part, we tend to model our own parenting styles after our parents. If our parents didn’t talk to us openly about difficult topics, we are likely to struggle to do that with our own kids. Whether your example growing up was one of strong, spiritual communication or not, Scripture is clear. Parents are not to simply lay down the law; we must make it a priority to engage regularly with our children, building connections that will lead them in the way of the Lord. When God gave Moses the Law, He emphasized the importance of parents teaching the commands to their children. But even then, the rules themselves weren’t enough. Parents weren’t to simply list the rules for their children. Israel needed to know the rules, and they also needed to connect with each other in applying those rules. God’s instruction wasn’t to enforce rules on your kids when you sit in your house and when you walk along the road, when you lie down and when you get up. It was to talk about those rules. Engage in meaningful connections so that when your child needs to make a decision for himself, he will be equipped. This was an excerpt from Jason Gibson’s sermon series and small group study, Parenting In A Digital Age. Sessions 1 & 2. 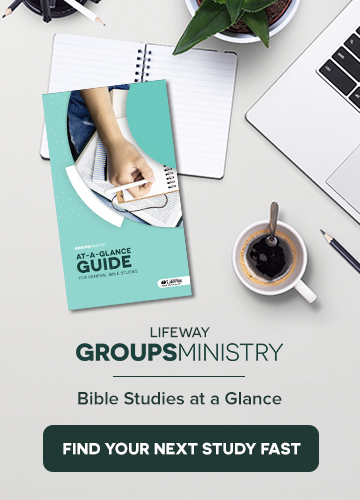 Series and study are available exclusively at smallgroup.com.